Heavy duty Lifting Eye Bolts in a range of M6 to M48 sizes, with variants suitable for 0.4 to 32 Tonne lifting applications. 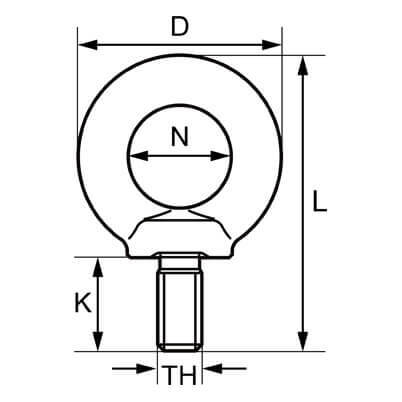 Lifting Eye Bolts available with metric thread: M6, M8, M10, M12, M16, M20, M24, M30, M36, M42, M48. 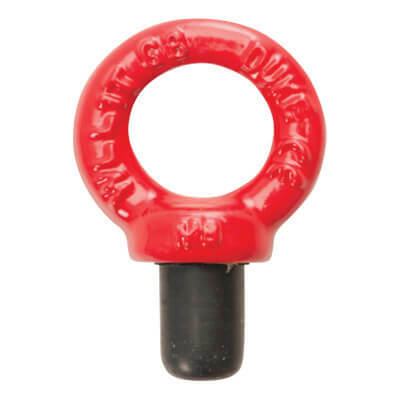 We recommend only using Grade 80 Eye Bolts with Grade 80 Components. Loading Eye Bolts at an angle will result in a reduced Working Load Limit. Yep, lifts stuff. Not sure what else to say.